To foster knowledge and conservation of the oceanic marine environment through research, education and awareness. The Far Out Ocean Research Collective provides a platform for open ocean research and marine conservation. By combining science with technology, media, culture and community, we provide a holistic approach to oceanographic studies. 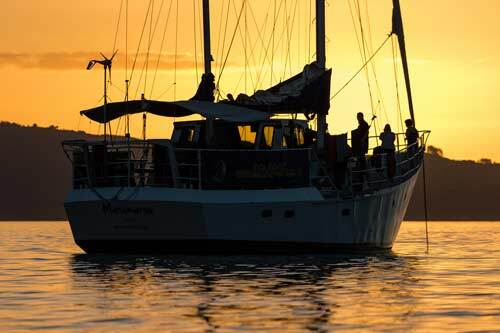 Our key assets are the SV Manawanui, a 72ft ocean going sailing yacht and our team of highly skilled professionals which enable us to facilitate effective long-term research projects on little known species and in poorly studied areas. The false killer whale remains one of the lesser known cetaceans. Our ongoing false killer whale research started in 2005, investigating population dynamics using photo-identification. It is the first and only study of the species in New Zealand waters and one of only a handful worldwide. Our research to date suggests the possibility of a small local population off north-eastern New Zealand. 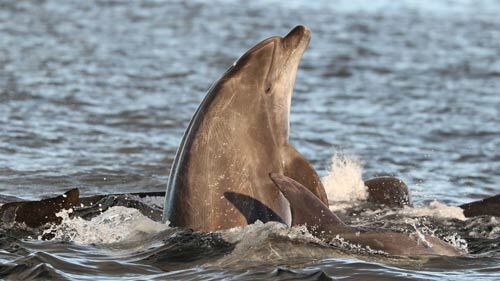 Oceanic bottlenose dolphins (Tursiops truncatus)Two forms of bottlenose dolphin occur in New Zealand waters; a widely studied nationally endangered coastal form and a little known oceanic form. 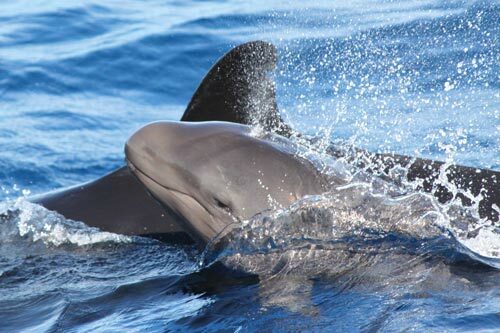 Our oceanic bottlenose dolphin research programme was initiated in 2005 as a photo-identification study, investigating the extent and possible functions of the frequently observed associations between oceanic bottlenose dolphins and false killer whales. Our study documented long-term associations between individuals of both species spanning over 10 years and hundreds of kilometres. While similar associations likely occur in other parts of the world, our study remains the only one to show long-term associations between individual members of two different cetacean species. The exact extent and possible functions of these associations are the focus of ongoing behavioural studies. Our pilot whale research emerged from our false killer whale work, which showed that the two species associate at times. A photo-identification programme was initiated in 2007, focusing on site fidelity and social structure. 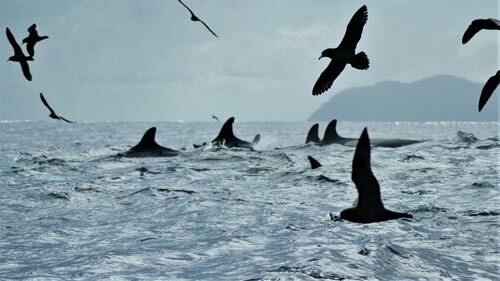 To date, pilot whale research in New Zealand has focused predominantly on stranded individuals. Our ongoing programme is the first study of free-ranging pilot whales. A genetics programme was added in 2015 and acoustic research will be initiated in 2017. Both long and short-finned pilot whales occur in the study area, with the latter only sighted on rare occasions during warmer months. Long-finned pilot whales occur in the study area year-round but appear to be more frequent during summer and autumn. While we have been able to document site fidelity in the study area, our findings to date suggest that a large and far-moving population is likely. 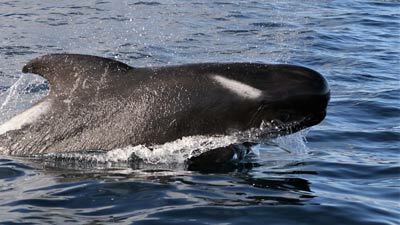 Long-finned pilot whales are the most numerous cetacean to strand on New Zealand shores, with dedicated government and community initiatives in place to attempt refloating of stranded individuals. The causes of strandings remain poorly understood and are subject to debate. Our research contributes to a better understanding of stranding scenarios by comparing our at-sea observations with those from strandings. Confirmed at-sea sightings of stranded individuals before or after stranding events will answer important questions regarding their habitat use and survivorship.